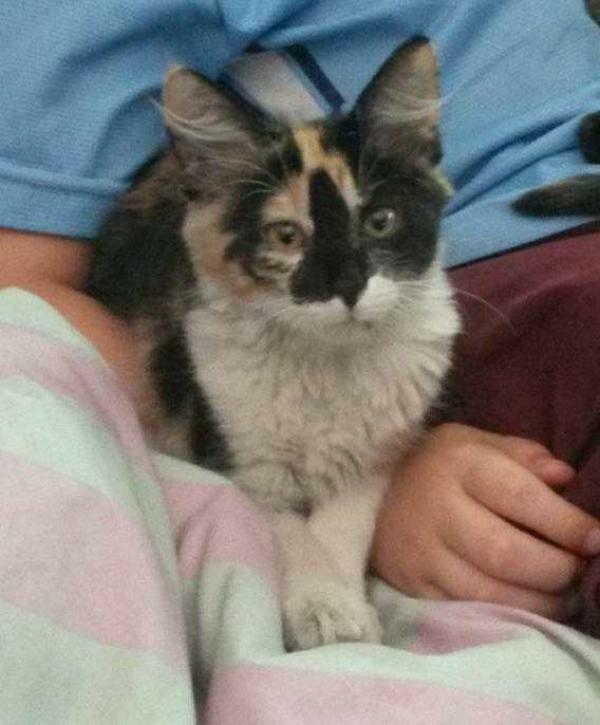 Lizzie is a lovely friendly little kitten with a beautiful plush calico medium length coat. Lizzie is used to other cats and is terrific with children. She's quiet but playful and when not sleeping in laps she's exploring the house and playing with her sister Midnight (also available). Lizzie will fit easily into most homes. To meet this gorgeous girl please contact us.